I made these little appetizers to help ring in 2017. 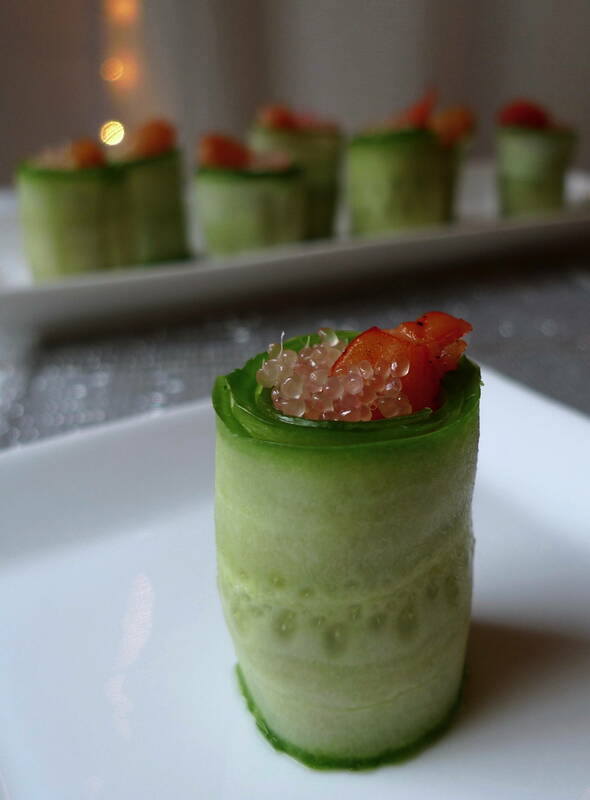 They are fresh and flavorful with the unique addition of finger limes. The little vesicles of the finger limes pop in your mouth with a burst of freshness. It is almost like citrus caviar! Or nature’s Pop Rocks. 😉 If you ever see finger limes, I would highly recommend trying them. I think you’ll find them delightful! In the bowl of a food processor, add the cream cheese, avocado, cilantro, salt, and pepper. Process until fully combined and smooth. With a large peeler, peel strips of cucumber lengthwise. Stop when you reach the seedy centers. Neaten the ends of the strips with a knife. Gently pat the strips dry with a paper towel. Set aside. Preheat a large sauté pan over medium high heat. Season the shrimp on both sides with salt and pepper. Once the pan is hot, add the oil. Wait until the oil is hot and shimming, and then add the shrimp. Sauté on both sides until the shrimp are just cooked through. Transfer to a plate, and let cool. Spread a thin layer of the cream cheese mixture onto one side of each strip of cucumber. The spread should cover the whole length of cucumber. Place one shrimp on the end of each strip of cucumber. Make sure the tail is sticking up over the side. Roll the cucumber strip. Repeat until you have 30 appetizers. 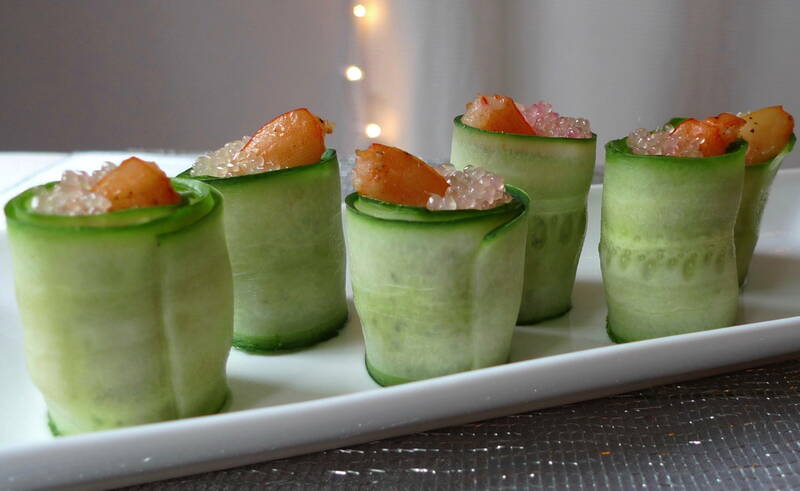 To finish, squeeze a little finger lime over the top of each appetizer. Serve immediately. They are best when they are freshly made. PS. 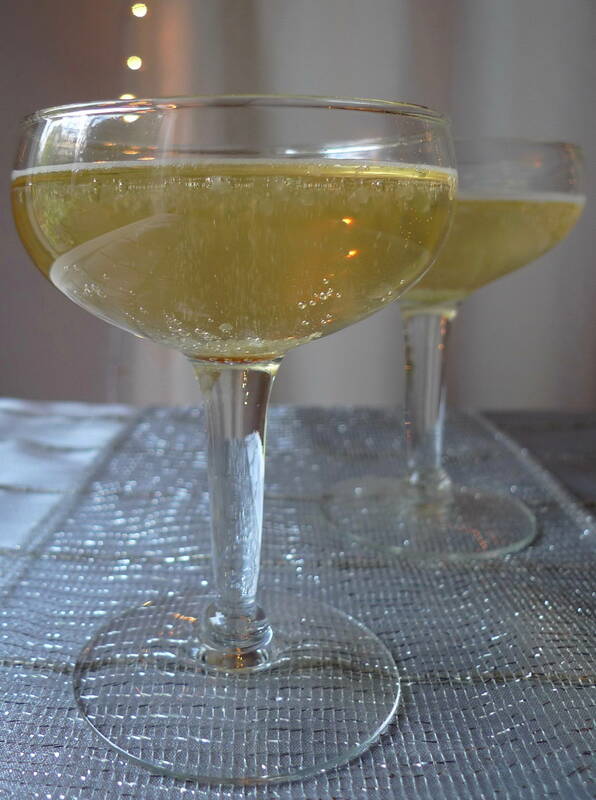 Finger limes are also fun to add to your midnight sparkling wine! 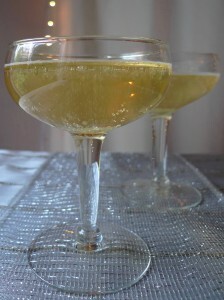 The little juice vesicles float up and down in the bubbles and give the drink a nice little pop of acidity.